Violence continues to throttle several parts of the world: in the past few days, bombings in Istanbul, Turkey and in the Coptic Cathedral in Cairo, Egypt; the escalation of violence in Aleppo Syria -- are just some of the violent acts which have resulted in several deaths and many more injuries. In some places violence has become a way of life, highly institutionalised; little children grow up on stories of war, of how the ‘enemy’ needs to be dealt with. For several across the globe there seems to be nothing to hope for: one act of violence spawns another, for retaliation and revenge. Most are oblivious of the truth that ‘eye for an eye’ makes the whole world blind. He calls for a new style of politics built on peace and nonviolence, and at the same time for disarmament, the eradication of nuclear weapons and an end to domestic violence and abuse against women and children. 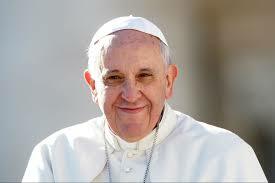 His message is addressed to the world’s peoples and nations, to heads of state and government, and to religious, civic and community leaders; in wishing all peace, Pope Francis says, “I pray that the image and likeness of God in each person will enable us to acknowledge one another as sacred gifts endowed with immense dignity. Especially in situations of conflict, let us respect this, our deepest dignity and make active nonviolence our way of life”. Pope Francis insists that building a new politics of nonviolence starts in the human heart and the home. “The family”, he says, “is the indispensable crucible in which spouses, parents and children, brothers and sisters, learn to communicate and to show generous concern for one another, and in which frictions and even conflicts have to be resolved not by force but by dialogue, respect, concern for the good of the other, mercy and forgiveness.”. Certainly a moot point for reflection as Christmas approaches; do we reflect that the most sought after and given Christmas gifts to little children, are the ‘violent’ ones: ranging from toy guns to play-stations! The message refers to icons of nonviolence and peace like Mahatma Gandhi, Khan Abdul Ghaffar Khan and Martin Luther King Jr. Mahatma Gandhi is regarded as the ‘Apostle of Non-Violence’ today; his birth anniversary on October 2nd is observed as the ‘International Day of Non-Violence’. The World Day of Peace, is celebrated by the Church in India on January 30th, the anniversary of Gandhi’s assassination. Pope Francis also says, “women in particular are often leaders of nonviolence, as for example, was Leymah Gbowee and the thousands of Liberian women, who organized pray-ins and nonviolent protest that resulted in high-level peace talks to end the second civil war Liberia”. Pope Francis has been consistent in his references to those who are responsible for the wars and conflicts in the world today- and specially the military-industrial establishment, “because vast amounts of resources are diverted to military ends and away from the everyday needs of young people, families experiencing hardship, the elderly, the infirm and the great majority of people in our world”. Nonviolence is indeed the way; something which we should begin putting into practise both individually and collectively from today!